BECIL Jobs Recruitment Notification 2018.Broadcast Engineering Consultants India Limited, BECIL inviting applications for the positions of Sr. Consultant/ Consultant jobs in project management, project financial management, architect and software departments on contract basis.Interested and Eligible candidates can apply for the positions. Total number of vacancies to be filled in BECIL is 09. BE/B.Tech/ graduation/ MSc holders can apply for this job advertisement. Maximum age for applicants is 62 years. Selected candidates as consultants will get pay of Rs.50,000/- and 1,00,000/- for Senior consultants. 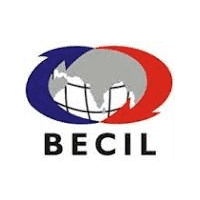 BY 21st September 2018 candidates can submit application forms to apply for BECIL Recruitment. http://www.becil.com is the link for applicants to download application form and send to below given address. Assistant General Manager (HR) in BECIL Corporate Office at BECIL Bhawan, C-56/A-17, Sector-62, Noida 201307.